If you’re looking to buy a safe for your home or business, check out our selection of used safes from great brands like Wilson, Mosler, Meilink, Amsec®, Schwab®, Diebold®, LeFebure and more! Below are all the used safes we currently have in stock. All dimensions are length x width x height. Click on each item to learn more or come by our Raleigh, NC showroom at 4205 Poole Road to take a closer look! 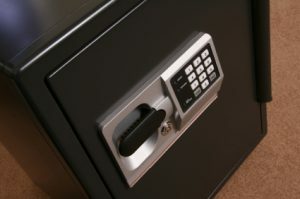 Marshall’s Locksmith offers used safes and other products to residential and commercial customers in Raleigh, Cary, Apex, Durham, Chapel Hill, Garner, Mebane, Smithfield and surrounding areas throughout North Carolina.